It’s nearly time for our Pampisford Trade Show, which this year features our biggest Trend Demonstration Zone yet. If you’re a woodworker, carpenter or joiner, you won’t want to miss it! From Thursday 18th to Saturday 20th May, the Trend Demonstration Zone will host live demos throughout each day. Read on for more details, or if you haven’t already you can click here to register for the show. Led by Trend industry experts, the Trend Demonstration Zone will host practical, how-to demonstrations throughout each day of the show. James Barry, the industry expert in sharpening, will join us again at our Pampisford Trade Show. 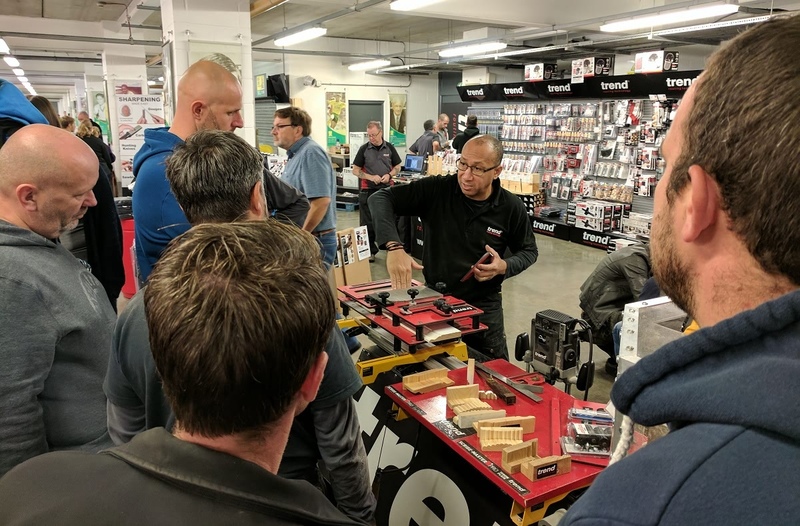 A hit at our Norwich show in October, James Barry will be demonstrating the range of DWS Diamond Sharpening Tools and how to extend the lifespan of your cutters and blades. Save time, improve accuracy and become more efficient on site with the Trend Door Hanging Masterclass. See how using Trend products such as the D/STAND/A Door Holder and LOCK/JIG/A Lock Jig can make all the difference. 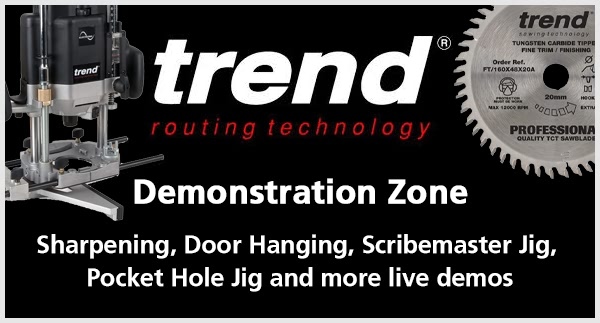 The popular Scribemaster and Pocket Hole Jig will be demonstrated by Trend experts at the Trend Demonstration Zone. The full range of Trend Routers will be demonstrated with an extensive range of cutters on display. The show provides a great chance to speak to the experts about specific applications and which router is right for you. All the products demonstrated will be available to purchase at the show at exclusive show deals you won’t want to miss. It will be our biggest exhibition display of Trend products ever so we hope that you can join us on the 18th-20th May!